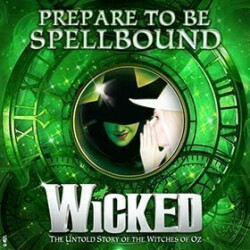 Based on the 1995 Gregory Maguire novel, Wicked: The Life and Times of the Wicked Witch of the West, this multi-award winning show is packing the house to the rafters every night, dubbed Best Musical of the Decade by Entertainment Weekly. The Apollo Victoria is a monumental structure that expresses the severe side of 1930s Art Deco design. Less decorative than many Deco buildings, its clean lines and impressive frontage stand out amongst its busy urban surroundings. Inside there are some original features left, in a building that’s still sleek and uncannily modern-looking despite being more than eighty years old. And the lighting is simply spectacular! Built as a cinema, in typically austere Art Deco style, the Apollo Victoria was designed by Ernest Walmsley Lewis, just a stone’s throw from London Victoria Station. Two main roads run either side of the building, so it’s a busy place, and the rather severe frontage gives its nickname, popular with taxi drivers, Sing-Sing, after the famous prison! But if you love Art Deco, there’s a visual treat in store, inside and out. The interior has been compared to an undersea fairy cavern, and a mermaid’s dream of heaven. Massive floral shapes hug the walls. Huge, brightly lit stalactites hang from the ceiling and silver organ pipes reach for the roof, with ever-changing lights in every imaginable colour. Costing two hundred and fifty thousand pounds – a vast amount of money at the time - the building opened its doors for the first time in October 1930 as the New Victoria cinema, showing the film Old English and a stage show, Hoop-La. The cinema closed in 1976 and was eventually bought by Apollo Leisure (UK) Ltd, reopening as the Apollo Victoria in 1981. 1984 saw the auditorium given a complete overhaul, ready for Sir Andrew Lloyd Webber's smash hit roller skating musical show Starlight Express. And in 1992 the foyer and exterior were smartened up again for a new production of Starlight Express, which enjoyed an eighteen year run. Spooky events at the Apollo Victoria Theatre! They say the Apollo Victoria is haunted. It’s built on a ley line, which apparently attracts ghosts and ghouls and results in spooky unexplained noises and objects that move all on their own. The Apollo Victoria has been home to some of the most successful musicals of all time, from The Sound of Music, starring Petula Clark, to the smash hit Camelot with Richard Harris. Fiddler on the Roof played here, delighting thousands of theatre lovers. Lloyd Webber's Bombay Dreams and Saturday Night Fever have also packed the rafters at the Apollo Vic. 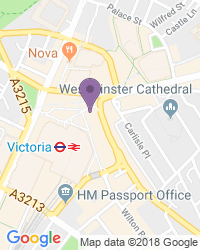 There is a disabled accessible entrance via Vauxhall Bridge Road. We’re a popular destination for a wide variety of seat types and prices, with excellent availability on the full range of Apollo Victoria Theatre tickets.